What's today's relationship between content creators, news media and the public who loves a good scandal, whether real or fake? 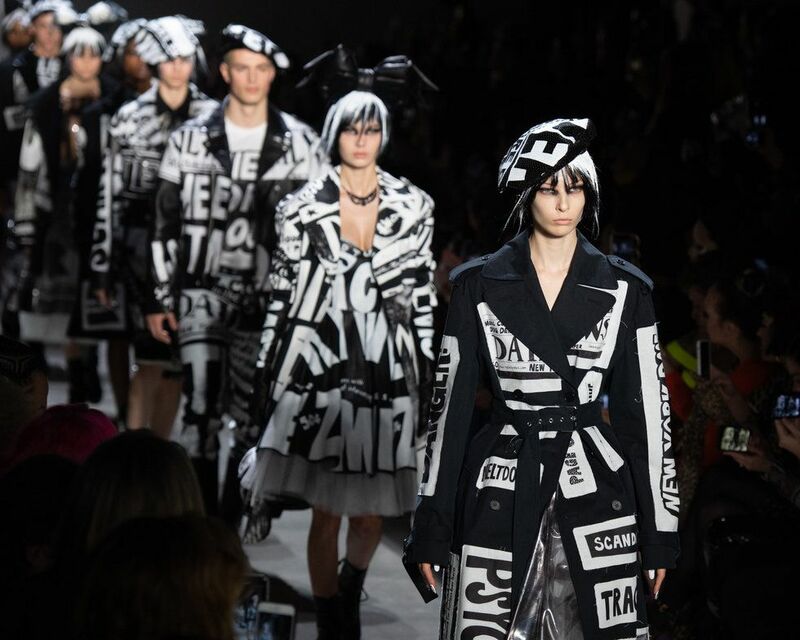 That was the inspiration for Jeremy Scott's fall 2019 collection, aptly set to Prince's 1981 single, "Controversy." 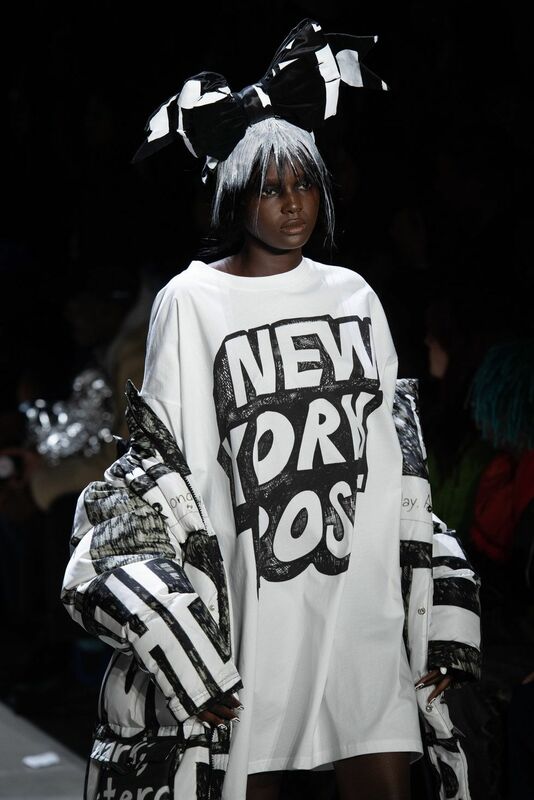 Clothing was printed with brash phrases, including "Chaos," and "Scandal," and the lineup was entirely black and white as tribute to newspaper. Here's everything else you need to know. 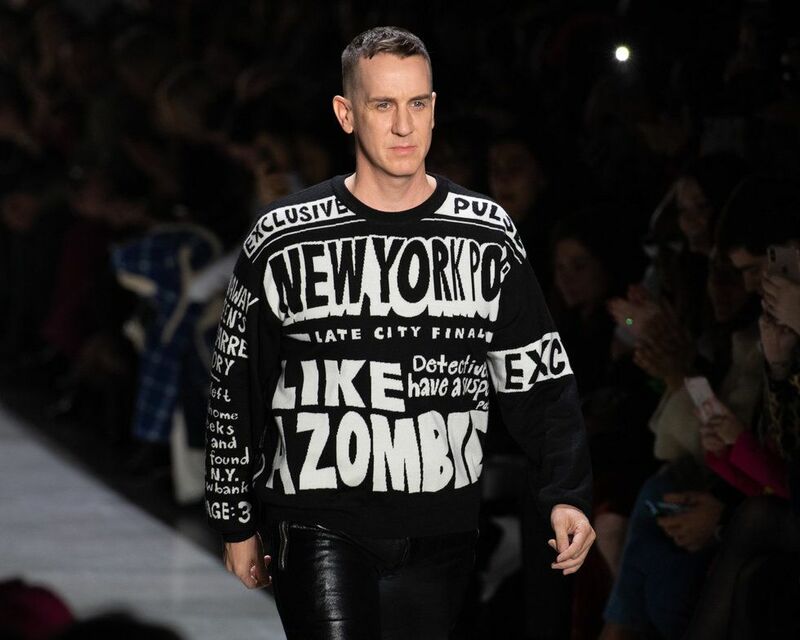 Any fan of Jeremy Scott will instantly recognize his pieces for the variety of bright colors. This season, however, Scott took a different turn and used solely black and white for every single look. 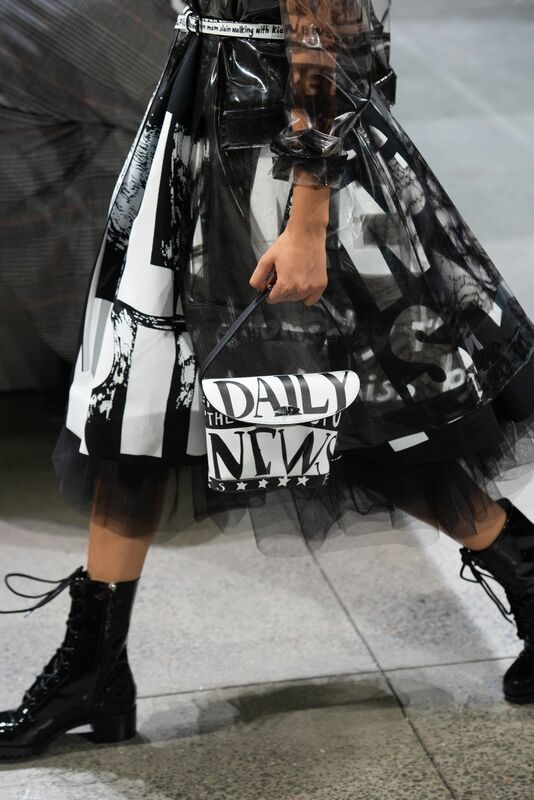 Deep inky black contrasted with the light and bright whites to create the ultimate wearable newsprint. 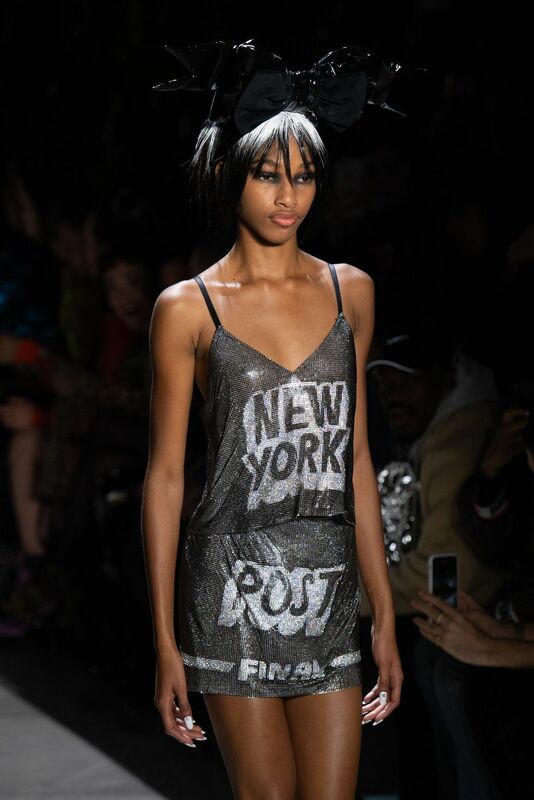 Ripped from the (digital) headlines, the collection's inspiration was the idea of tabloids and fake news. He collaborated with artist Aleksandra Mir to create dresses, pants, skirts and even berets with juxtaposed, blaring headlines. The silhouettes for the womenswear pieces in the collection were overwhelmingly party-like. Think: puffy tulle dresses from an '80s prom dream, swishy printed skirts worn with dramatic veils and a tiered and ruffled gown that closed the show with a pair of matching gloves and combat boots for good measure. Larger than life bows that topped models' heads. In addition, some models wore newsprint berets with aggressive and intriguing headlines. It wouldn't be a Jeremy Scott show without a theatrical beauty look. Models sported black and white newsprint colored hair, a creation by editorial hair stylist Eugene Soulmein.